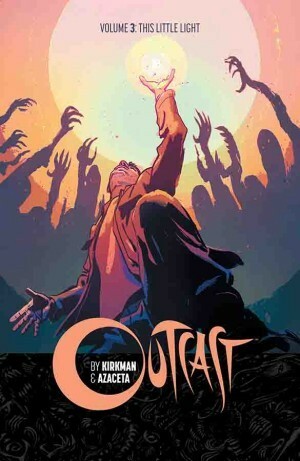 Goodreads review: Outcast, Vol. 3: This Little Light | Yeah nah. Third volume through and we can pretty much take the previous thoughts I’ve had on this series and stretch ’em out again. Once more, the story of possession and high stakes starring Kyle Barnes, his mate the Reverend Anderson and that blow-in who manages to look like a cross between Roger from Mad Men and an escapee from a Norman Rockwell painting. 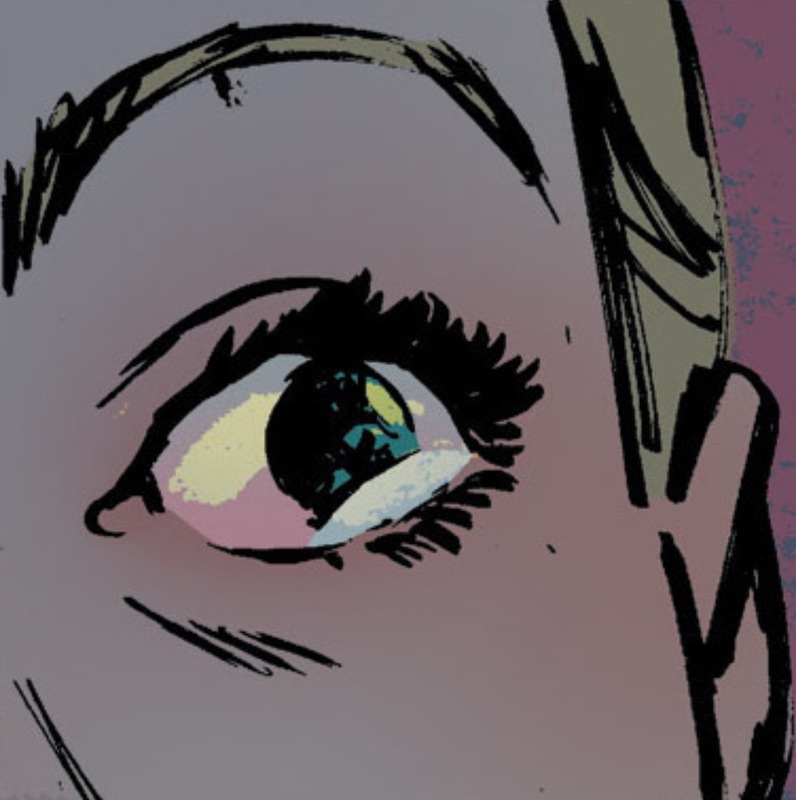 Anyway, as mentioned not a lot happens in the volume, I think largely because this is a small-town story: as with Twin Peaks, time moves in a different way than it does in stories where there’s a metropolis to cover. But there is a sense of progression: we learn more about the possessed individuals – they’re organised – and start to nut down about why these things are happening. The nature (and purpose) of the Outcast is coming closer to being revealed, and there’s a sense that there’s a showdown coming. 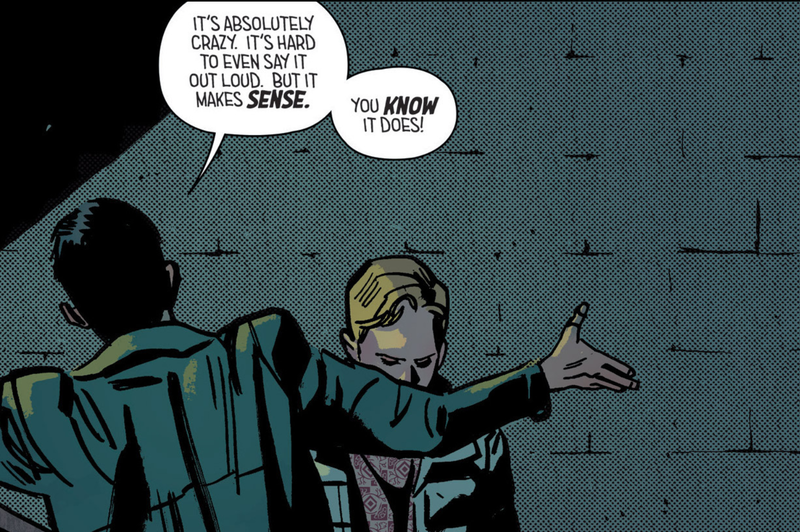 As ever, the art is what keeps me going in the lack of narrative push. I don’t mind it too much, and assume there’ll be more forward motion in the next paperback. But until then, I’m happy to enjoy the developing portraits of relationships (broken, romantic, friendships) and the artwork that seems unafraid to show humanity in its precision. There’s enough in these details to ensure I persevere.